Google Fit was launched back in October, and now the fitness focused app for Android has received an update, and the latest version of the app comes with a range of new features. 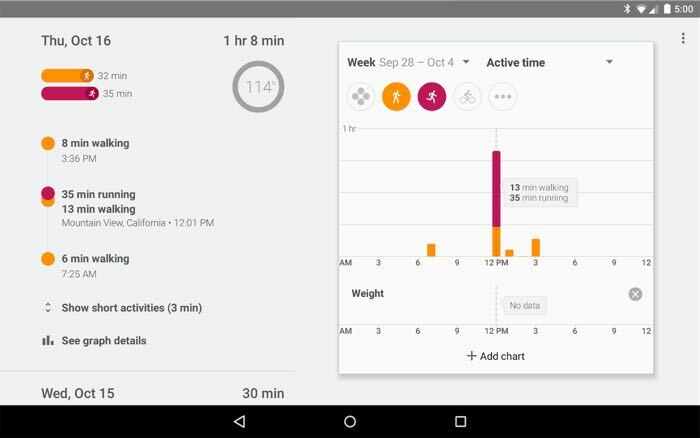 The latest version of Google Fit for Android comes with more than 100 new activities, it also comes with a new experimental step detection feature for walking when your smartwatch is not connected to you Android smartphone. As well as the new features the new Google Fit app comes with a range of bug fixes and also performance improvements, you can see a list of what is new below. You can download version 4.1 of Google Fit for Android over at the Google Play Store at the link below, the download is around 15MB in size.